Nowadays, Orthodontics is equally important as the other medical branches. It was a bit different few years ago. It is the branch of dentistry that corrects teeth and jaws that are positioned improperly. People are becoming more health as well as self-conscious. Crooked teeth and teeth that do not fit together correctly are not only harder to keep clean, but also destroy your appearance. In such cases, you are at risk of early tooth decay and periodontal disease. In addition to direct health risks, your imperfect bite may cause extra stress on the chewing muscles that can lead to headaches, TMJ syndrome, and neck, shoulder and back pain. The benefits of orthodontic treatment include a healthier mouth, a more pleasing appearance, and teeth that are more likely to last a lifetime. To help you out in such situation, orthodontics is there and a specialist in this field is called an orthodontist. They receive two or more years of education beyond their four years in dental school in an ADA-approved orthodontic training program. Many of us think that one need an orthodontist when we are conscious about our smile or if someone wants to straighten his/her teeth, it means only due to the fact that the person is really conscious about his/her appearance. If you are also among those, who think I that way, then I recommend that you should go through this article. There are so many problems that are bite related, yes if you have one of them, then you can’t even chew your food properly. Some major bite problems are overbite, underbite, openbite, crossbite. If you are suffering from one of them then consult your orthodontist. Based on diagnostic tools that include a full medical and dental health history, a clinical exam, plaster models of your teeth, and special X-rays and photographs, he can decide whether orthodontics can help you or not. If you have any of the below given problems, you may be a candidate for orthodontic treatment. Overbite can be corrected through moving the front teeth up and/or bringing the back teeth together, In this way, the bite will be open as teeth are properly aligned and the deep bite is eliminated. An openbite can be easily identified because a significant space can be seen between the biting surfaces of the front and/or side teeth when the back teeth bite together. It is an insufficient vertical overlap of the teeth. It is caused by oral habits such as tongue thrust, digit sucking or when the jaws don’t grow evenly. The timing of treatment is critical to the overall success of the therapy. Openbite can be corrected in different ways such as growth modification of the jaws using braces, extrusion of the anterior teeth and in some cases surgical correction of the jaws. 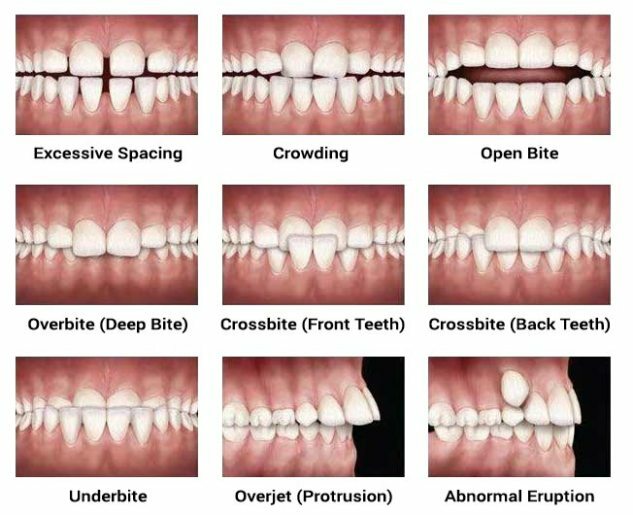 Treatment of crossbite depends upon the situation like if there is a single tooth crossbite, the tooth can be moved with braces into the correct position. In some cases, a retainer can be utilized. With multiple teeth in crossbite, the arch needs to be expanded with braces or other intra-oral appliances such as an ‘expander’. Many different types of appliances, including fixed and removable, are used to treat such orthodontic condition. Treatment may involve teeth, retrain muscles and affect the growth of the jaws. These appliances work by placing gentle pressure on the teeth and jaws. Braces are the most common fixed appliances, consist of bands, wires and brackets. Bands are fixed around the teeth or tooth and used as anchors for the appliance, while brackets are most often bonded to the front of the tooth. Wires are passed through the brackets and attached to the bands. In order to put tension on the teeth, wire is screwed. In this way, teeth are gradually moved from their proper position. Desired results may achieved within a few months to a few years. 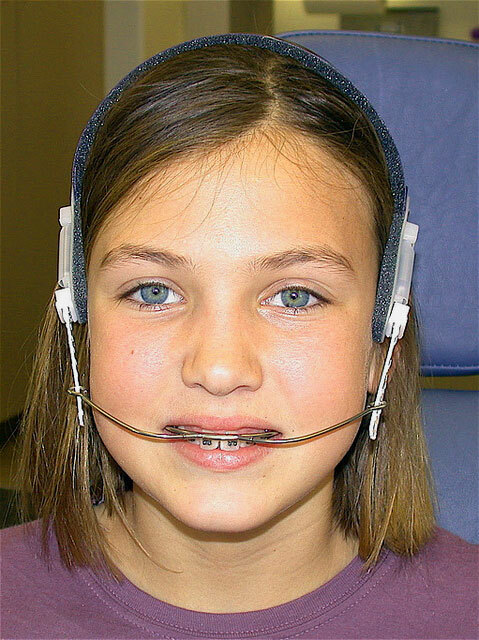 In addition to braces, there are some other fixed appliances, which are used to control thumb sucking or tongue thrusting. Such kind of appliances are attached to the teeth by bands. But they are lot more uncomfortable during meals, as compare to braces. Fixed space maintainers are also used if a baby tooth is lost prematurely. It is used to keep the space open until the permanent tooth erupts. Usually a band is attached to the tooth next to the empty space, and a wire is extended to the tooth on the other side of the space. Removable space maintainers serve the same function as fixed space maintainers. They have plastic or wire branches between specific teeth to keep the space between them open. Aligners come under the category of removable appliances. If you don’t wear traditional braces, you can go for aligners. They do the same but only without metal wires and brackets. Aligners are virtually invisible and are removed for eating, brushing and flossing. Palatal expander are used to widen the arch of the upper jaw. It is a plastic plate that fits over the roof of the mouth. Outward pressure applied to the plate by screws force the joints in the bones of the palate to open lengthwise, widening the palatal area. Splints, also called Jaw repositioning appliances are worn on either the top or lower jaw, and help train the jaw to close in a more favorable position. Lip and cheek bumpers are popular if your lips or cheeks must be away from the teeth. Lip and cheek muscles can exert pressure on the teeth, and these bumpers help relieve that pressure. Removable retainers are placed with the roof of the mouth. These are called as post treatment devices which are used to prevent shifting of the teeth to their previous position. Headgear consists of a strap, that is placed around the back of the head and attached to a metal wire in front, or face bow. Headgear slows the growth of the upper jaw, and holds the back teeth. In this way the front teeth are pulled back.